Before the summer of 2004, I had a vague notion that I'd like to write and publish songs. But I didn't know how. I lacked the formal training and resources to "produce" a song. I had written some poems in my 40s – stuff that was deeply personal and reflective of my "human condition" as a husband, father of seven, graphic design solopreneur and music minister/choir member at a Catholic church. I thought it would be neat to put my experiences and values to music. Well, suddenly I became enabled by technology. I started playing around with GarageBand on my Macintosh computer. I did an internet search for "GarageBand collaboration" and found www.macjams.com – an online community for sharing original music and collaborating on new music via the internet. I started writing songs with Jack Miller, Hendrik Steiner, David Gomez, André van Haren, Luca Frappola, Johnny Katchoolik, Norman Miller, Bill Furner, Robert Andrews, Roxylee Smith, Johannes Curry, Warren Smith, Harold Luper, John Luper and others. I contributed mostly lyrics and vocals but sometimes added some guitar and simple keyboard or percussion. We sent MP3 tracks back n' forth to create a mixes in Apple GarageBand or Apple Logic (music sequencing programs). This engagement at MacJams became my informal education in music theory, recording, mastering, publishing and promotion. 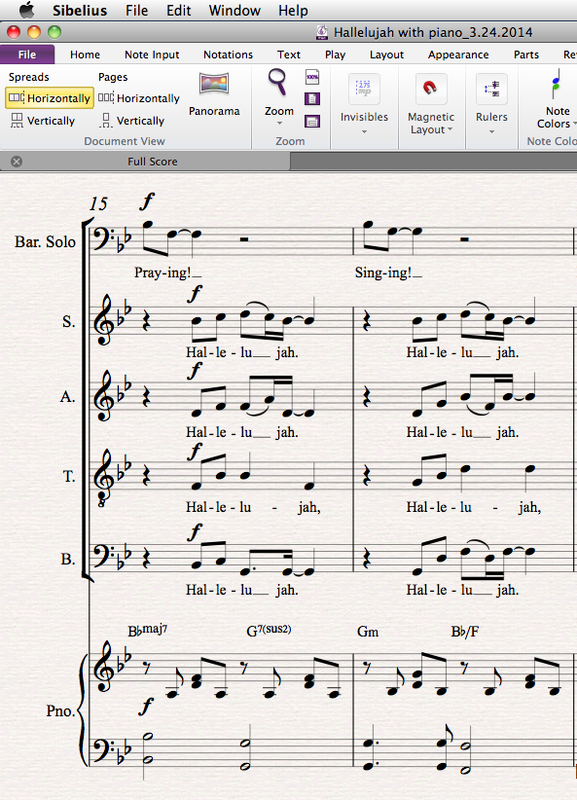 I advanced even as far as creating sheet music using Sibelius notation software. I currently am doing ongoing collaboration with André van Haren, an orchestral composer in Sweden. I am also working on an album called Hungry For Heaven with two musicians in Spain – David Gomez Sanz and Alberto Ayuso Domingo.. It's been quite a journey since the summer of 2004 and I'd like to share this with you in a blog series I am calling "Virtual song collaboration." I will detail my methods for solo and collaborative songwriting and production. Feel free to comment and ask questions as we go along.